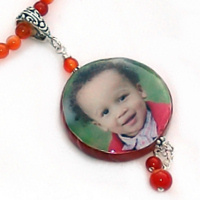 Our photo pendants are hand crafted using only top grade natural and gemstone materials. We then enhance each piece with .925 sterling silver bails and components and add the finishing touches to compliment your sense of style. 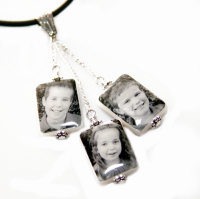 We specialize in Mother of Pearl which we offer in variety of styles and sizes. "MoP" tiles are iridescent white tiles produced from the hard internal layer of the sea mollusk which produces pearls. This gives them strength and durability to be worn everyday, while still possessing a delicate feminine look. 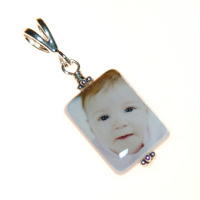 All Mother of Pearl tiles are double sided so you have the option of choosing the same or different images for each side. 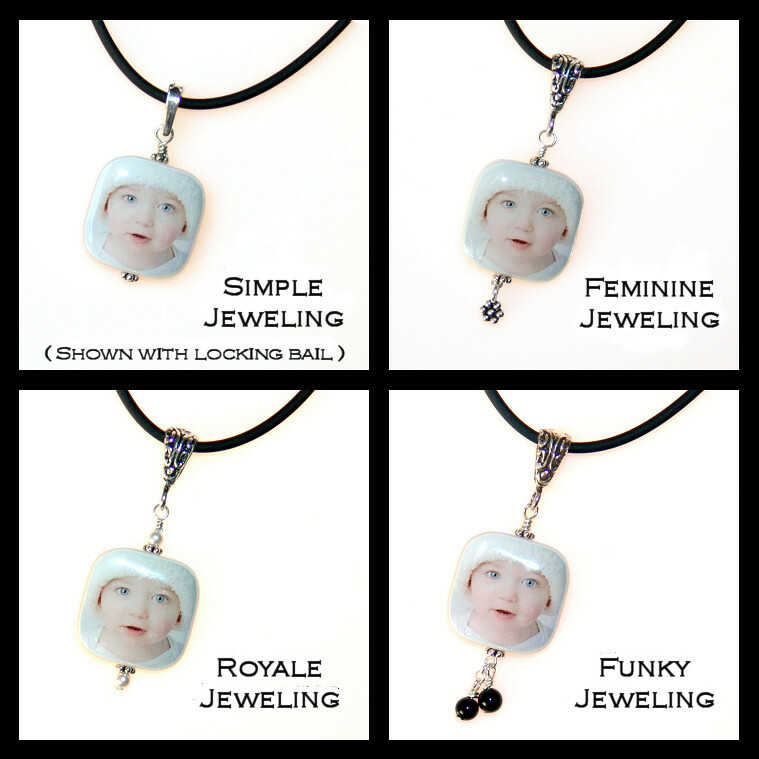 With each MoP pendant you also have your choice of 4 jeweling options. Click here to view the jeweling styles.